CuteFTP for Windows 10 - ftp client with built-in text editor. The application supports https, ssl encrypted connections, logged login and the ability to authorize by IP or mac address, allows you to copy, move, rename objects on remote servers, edit data using built-in tools. The utility applies the technology of drag and drop and command line operations, includes a search function for extensions and keywords, allows you to integrate custom scripts and third-party extensions. The program has a simple graphical interface and does not require installation in the operating system. 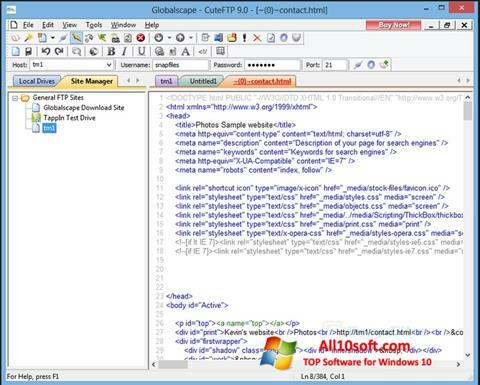 You can free download CuteFTP official latest version for Windows 10 in English.